Don’t be bland. Normal sentences just will not cut it on Twitter. If it takes you five or ten minutes to craft your 140 character allowance into a funny, quirky or unusual Tweet then this will definitely be time well spent. You need to grab the attention of skim readers – make your work sound exciting! Images, images, images. Want your Tweet to stand out? Throw in a stark photograph. Use images under a creative commons license (for example, https://www.flickr.com/creativecommons/) to ensure that you do not infringe on copy right. If your science produces lots of great images, how about tweeting a Picture of the Day? Hashtags. More than just a trend for teenagers, hashtags can be helpful for those searching Twitter and can bring your Tweet to the attention of a receptive audience. Important events, conferences and world days – such as world health day – stimulate thousands of Tweets and Twitter discussions under a signature hashtag. Don’t be silent. Twitter is a form of social media, so be social. Retweet the blogs of others and pause to offer feedback. ‘Favourite’ Tweets which make you laugh. Discuss everything from blogging to science to the weather – sparking up a conversation will engage others and may ultimately lead them to your blog. 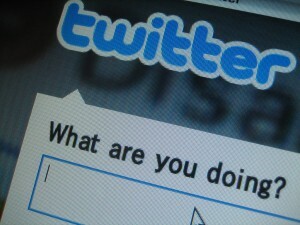 Think about whether you can offer a ‘service’ – regular tweets than provide people with information they want. Shout about your work. Be bold. Tweet directly to other researchers in your area, science societies or research councils. Many will happily re-Tweet and share your blog; it may even lead to future collaborations. Remember that once you have grabbed their attention, Tweeters tend to be quite receptive to science stories. There’s a good chance they will click through, so make sure your online content keeps them hooked. Twitter takes up time if you want to get it right – there is a reason why you see people glued to their smartphones. So if this all of sounds a bit too much and you’d rather get back to the bench, please get in touch to see how we can help to promote your blog or communicate your research. And please share your blogs with us, here or on Twitter (@ScientiaScripta). We love a good read!